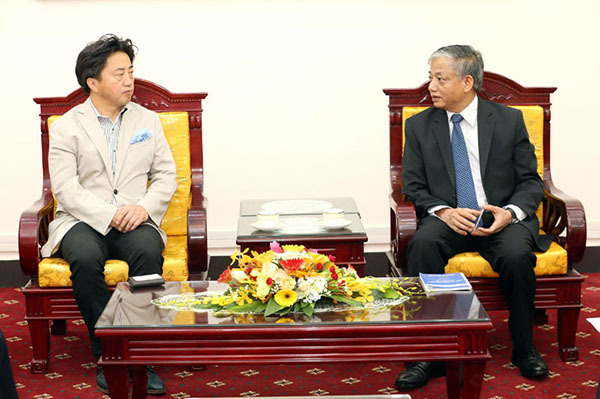 (LDXH) On 19th July, the Deputy Minister of Ministry of Labor – Invalids and Social Affairs Doan Mau Diep had a meeting with Mr. Takebe Tsutomu, Special Advisor of Japan–Vietnam Parliamentary Friendship Union about Vietnamese trainees working in Hokkaido province in the field of agriculture. At the meeting, Mr. Takebe said that Hokkaido province had the most developed agricultural production in Japan. The nature of Hokkaido province is known as the land of snow and ice with long winter, so the time that trainees can practice the job of the agricultural, forestry and fishery industries are limited. The disposition of job for trainees during a year is difficult. According to Takebe, trainees will not only practice in the field of agriculture but can also practice in other related jobs. So that they will have jobs throughout the year and capture the whole process from harvesting to production, processing, packing or working in the supermarket. Trainees outside work also have time to study extracurricular, exchange with local people in cultural festivals, tea ceremony to understand the customs, habits, life of the Japanese. On July 22th 2016, Japan's East Asia Research Institute signed an agreement with the Central Vietnam Farmers Association in the field of agriculture - forestry - fishery and rural development with the content of the two sides will exchange personnel between Vietnam and Japan in "Food production, agro-forestry-fishery development, rural construction". On behalf of the delegation, Mr. Kataoka Souichi informed about the economic development of the city of Souja. Currently, the city has 68,000 people and it is an industrial city of Okayama Prefecture with the key industries of manufacturing automotive components and food processing. 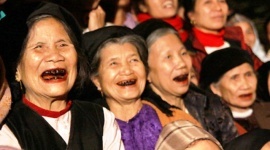 To overcome the shortage of human resources due to the population aging, the city has received many foreign workers, mainly focused on Brazilians of Japanese origin. 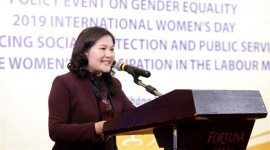 "Recently, with the development of the Vietnam-Japan relationship, the city has strengthened the acceptance of Vietnamese trainees." 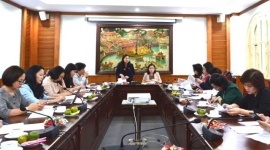 Up to now, over 500 Vietnamese trainees Received to the city of Souja to practice in the factories manufacturing automotive components and food processing. 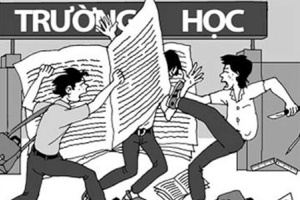 Vietnamese workers are hard working and smart, specially Vietnamese trainees in cultural exchange between trainees and indigenous people. 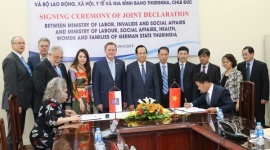 Souja City is committed to supporting businesses of the two countries to further promote the reception of Vietnamese trainees. South to practice in Souja city "- Kataoka Souichi, emphasized. 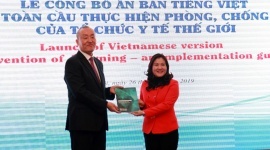 Deputy Minister Doan Mau Diep acknowledged and appreciated the support of Mayor Kataoka Souichi for the acquisition of Vietnamese trainees and also informed the direction of the Ministry of Labor – Invalids and Social Affairs in enhancing the quality of sending trainees to Japan. 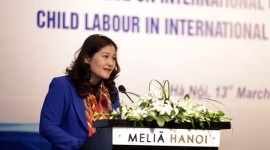 He hoped that in the coming time, Souja will receive more trainees in Vietnam not only to contribute to the development of Vietnam's human resources but also to bring economic development of Souja city in particular and the Japanese economy in general.